He shared the fate of thousands of Ossetians who moved to Turkey in 1860th looking for a better life. We can see in his poems how close he took the tragedy of the people who lost their Motherland. Temirbolat had being devoted to Ossetia during his whole life. The creative work of this outstanding person has not been learnt in full. 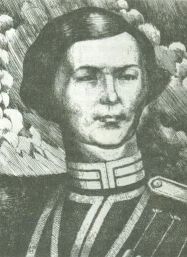 A young military officer, patronized with his uncle general Mussa Kundukhov, could make a successful military career. But he refused it and preferred to live as a regular private person, “playing the Ossetian lyre”. T.Mamsurov refused to create a family as well, and lived as a bachelor in Batmansh. There he died in 1899.